News: Post a large number of kitten macros and .gifs so that no space on the forum is left bare! It's been several months of inactivity, without policy or recruitment or much worldbuilding. We all share in the blame, but blame isn't the point: correction is. We've spent too much of our effort on struggle and too little on cooperation. We know we can build great things together, we've done it not once but a number of times. Perhaps we've taken to taking that for granted. Who's in charge or in control is, in the end, fairly irrelevant. (So long as they're working with the rest of us.) No one person can afford to do all that needs to be done. Never could. There's nothing I can do to make people work together, but you and I can ask each other to, and that is how it can happen. I'll probably be doing quite a lot of asking, as, I surmise, will Khem. But you should be asking too. I'm hoping we can build a team for each core function of Taijitu that needs taking care of: Recruitment, Retention, Infotainment, Worldbuilding, Diplomacy, and the Military. (I may have missed one, shout to me if I did). Whether the Citizen-Initiator or the Citizen-Delegate has ultimate authority over Recruitment, we'll all need to work together to make it work again. 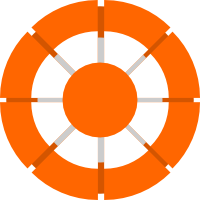 We need people clicking send a bit less than we need people scrutinizing what works how well and how to improve on it. Retention is a bit of a vague thing. Part of it is ancillary to recruitment, part to everything else the region does. I'm suggesting we'll want some sort of context where we're asking "how can this help retention?" about various things we do as a region, and consider new ideas to help that too. By Infotainment I mean something like the Voice of the People. We can be extraordinarily good at showing ourselves off to the rest of NationStates, and further engage our own in the region. That's a strength we can really use. Worldbuilding is extraordinarily important to Taijitu. It's why many of our core members stick around. We have a shared conception for a whole alternate world and history which, at its best, is both coherent and flexible enough to include new people coming and going. That takes work, but I think that if we can share the burden of maintaining helpful guides and the map, even if only to the extent of whoever's doing something having someone to talk to about it as they do it, we can provide that superlative 'Taijitu Experience'. Diplomacy is something that not everyone in Taijitu cares about, but it is our ability to have a presence in the rest of NationStates. Given my onsite responsibilities I'd like this to be shouldered by others to the extent possible: it'd be potentially intimidating and unfair for diplomatic messages from Taijitu to come from a nation tagged as [Game Administrator] onsite... Please help! Dyr Nasad has agreed to serve as Citizen-Sergeant, which is great, but the Military is of course one area that most transparently can't be done by one person (at least not without multiing). Our Militia has often been respected for its high average competence and its periodic ability to deploy significant numbers of updaters. We can use that, if people chip in. What are we building, anyway? If I was lazy, mean, or cruel, I would point you to my 2013 Explanation of the Diagram of the Supreme Ultimate. This is not, however, the time for playful obscurantism. This is the time for plain speaking, or at least as close as I can get to it. 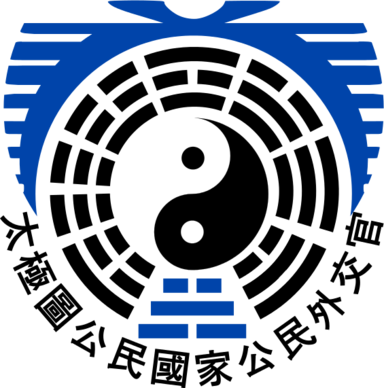 In my hopes and aspirations, the idea of Taijitu was to be the ideal, balanced, region. While in practice we started off as a freer, more open version of the Lexicon, I think this dream was at least implicitly shared by many. We've had an invading army and we've had a defending army. We've gotten involved in all kinds of interregional politics and we've stepped back from them. We've had straightforward roleplaying-as-a-nation's-government Roleplay and we've had epic collaborative storytelling and worldbuilding. We've had times of complete unity and times of internecine bickering. We've learned a lot. A couple of wise song writers once said, "Life can be a challenge, Life can seem impossible, It's never easy, When so much, Is on the line, But you can make a difference." We can be great. Not just a large region with many nations, not just an active polity, but a great one where people can enjoy the many ways we've found NationStates to be enjoyable, and perhaps new ones we'll discover together. Thank you for the remarks, Eluvatar. I would be willing to help rebuild our diplomatic efforts but I will not have as much time on my hands as I have had in the past; that being said, I am willing to devote part of what time I do have to reaching back out to our old allies and important embassies and reestablishing ourselves with them. I will also participate in worldbuilding when possible, of course - the pace of this is slow enough that I will easily be able to keep up with things, I think. I think that we should perhaps be more patient with new nations that may be more accustomed to the freewheeling style of on-site RP or more casual RP; everyone has to start somewhere and I think we should encourage (almost) any kind of participation. You are quite correct in stating I will be asking for cooperation and common effort Elu. I very much appreciate all of the points you have raised. I think that we should perhaps be more patient with new nations that may be more accustomed to the freewheeling style of on-site RP or more casual RP; everyone has to start somewhere and I think we should encourage (almost) any kind of participation. I very much concur with this point, a large part of what we are is RP-centric and we could do with losing our elitism in this department (we are all guilty on that front so no pointed fingers). I believe we should open up things to allow for alternate kinds of RPs, perhaps an alternate world where sci-fi and fantasy elements can freely wheel about. There have been a number of complaints I've received regarding the difficulty of getting on the map, these to an extent I've excused for the high quality we receive but then I wonder if quality and ease of access need be mutually exclusive (looks at Oz). Honestly I think we should work on emulating the effective practice some regions have of letting multiple people work on the map, sharing what needs to be shared. Further, we should keep that base map as easy to edit as practicable. If I had time I'd be happy to make pages which give transformed versions of the map. (I.e. with particular projections or with fancier shading). Thank You, Eluvatar, for posting this! I appreciate it as it is high time we all made an effort to move forward. After all, I came here because it was a good place to be and so I would like to support the further development of Taijitu. One very important point you are making, is the fact that no one person can run this place alone. We NEED to co-operate to make Taijitu great, as a place to stay, as a place to chat about important things as well as silly things, as a place to RP and as a place to find good friends. I look forward to a rejuvenation of Taijitu! Inspiring (and sensible) as always, Eluvatar. I look forward to seeing the region revived again. I'll be extremely busy for the rest of the year but will try to help out where I can, or at least give feedback on things. Thinking is hard work, too! Forsooth, do you grok my jive, me hearties? I hope to chip in with the technical side of recruiting. The software needs updating, but most of the big parts are already there. As for world-building, I agree with the sentiment that we need to make it more accessible for newbies, and I believe we need plainer, more explicit rules regarding the map. Perhaps we should establish a more formal world-building moderation system or a World-Builders' Cooperative of sorts to lay the basic ground rules and resolve disputes going forward. I like the idea of a World Builder Cooperative running things, best to be self policing. Yes Gulliver! I think this is a very good idea!